Ross & Cromarty Roots | Fortrose Cathedral. 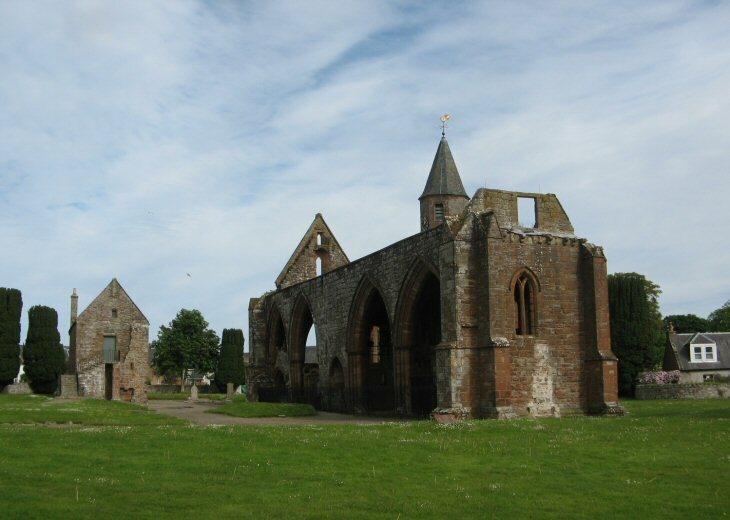 It is belived that an early cathedral for the diocese of Ross was built at Fortrose during the 13th century. The current structure dates from the 14th/15th centuries and comprise the south aisle and chapel, together with a now separate chapter house/sacistry. There are a number of stones to the south and west of the main ruin, and insprictions within its walls. Picture Added on 03 June 2010. I am led to believe that a relative Roderick Mcrae, Mason, born c1852 is buried there. Can anyone help. Is there a gravestone? Added by Eric Simpson on 01 January 2012. Eric have a look at Image No. 10966 (put no. into Search Box for quickest route), which has a Roderick Mcrae of about the right date. Added by Roddie on 02 January 2012. I believe I have 2 Grandparents buried in Fortrose Cathedral. Mary McKenzie McRae 1825-1900 and husband Roderick McRae 1825-1900. Added by Jean Redfern on 20 January 2018.